Our next P&C Meeting is on tonight in the Staffroom at 7:30pm. I hope to see you all there. It would be great to see you to support the wonderful work our members are doing for our students. Thanks to the hard work of our P&C Members (both this year and last), our Upper Primary is about to get some more playground equipment in the playground. 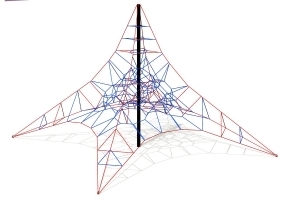 A freestanding 6 metre high climbing frame (pictured below) will be erected underneath the tree canopy on our back oval, close to our footy goals near Mickleton Terrace. Construction will start next Monday. It has been a long road to get to this point, but it will be a great addition to our school. 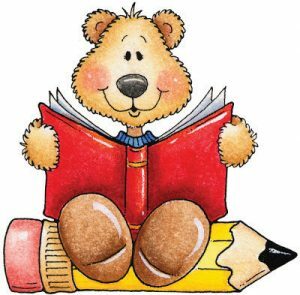 As you will read in the School Council’s Newsletter item, we were unsuccessful in the nominations of both Sue Ashmore and Rosie Penn as finalists for the WA Education Awards; but that doesn’t mean we can’t continue to acknowledge our wonderful staff here at Anzac Terrace. The ONYAs are still available at the front office or online through this link http://anzacterrace.wa.edu.au/parent-information/school-council/onya-awards/ Plus we have also just been asked to share this link with our School Community https://www.asg.com.au/about-asg/neita where you can nominate a teacher for a National Excellence in Teaching Award. 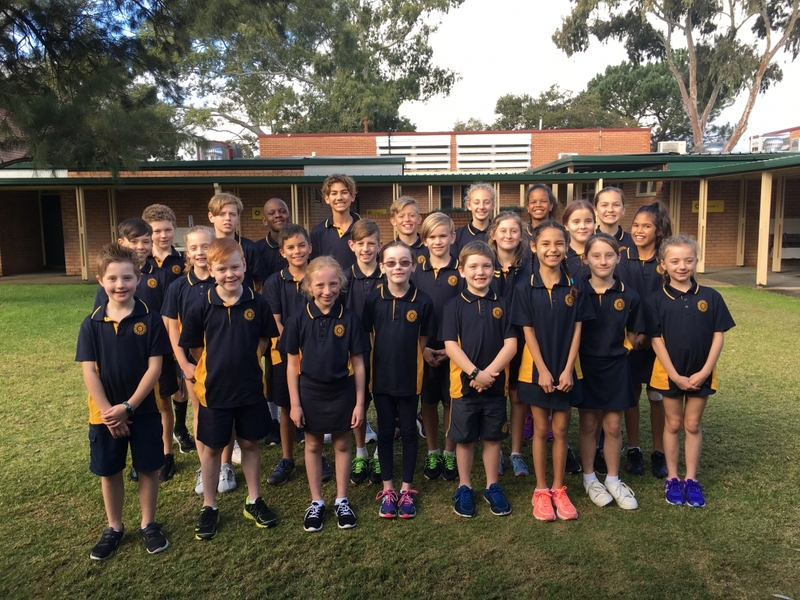 Congratulations to all students who represented Anzac Terrace PS in the Interschool Cross Country event two weeks ago. Whilst we were unable to get any individual honours, all students represented our school impeccably garnering compliments on both their sportsmanship and manner. Our prefects have been busily working through all the students who nominated to be a part of our Talent Show for 2018. With over 40 performances to work through, they have shortlisted it to ten acts … these finalists will be announced tomorrow during our Communications Assembly. The Talent Show will take place on Friday 31 August at 1pm in the School Hall; I hope to see you all there. Thank you to everyone who dressed up last week for the Footy Dress Up Day. It was great to see so many people wearing their footy colours. 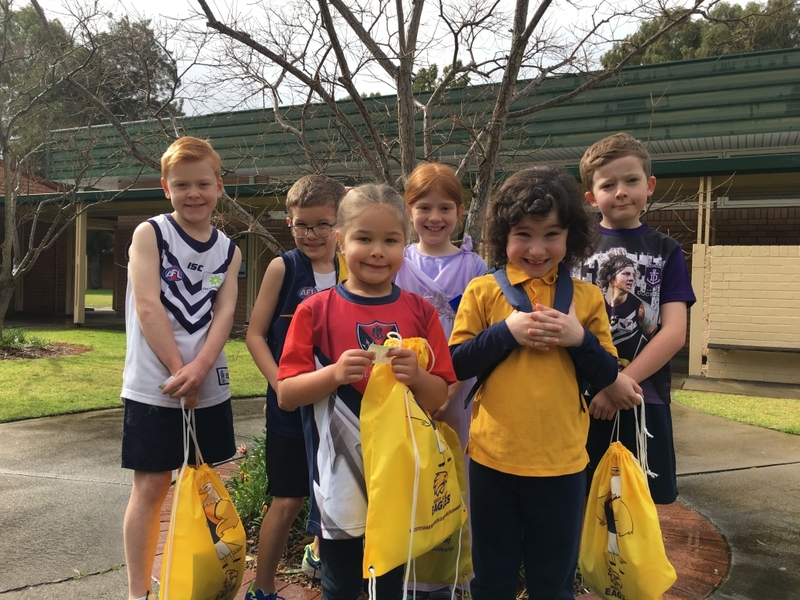 Congratulations to the winners of some footy prize packs. Thanks again for supporting the Prefects. Prize winners: Taj (Rm 12), Dex (Rm2), Chelsey (ECB3), Emily (Rm6), Rose (Rm 2) and Thomas (Rm 18). Perform! Educational Musicals will once again be presenting a production as part of our Book Week celebrations. 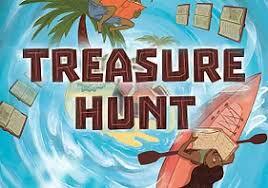 All children from K-6 are expected to attend this educational activity. 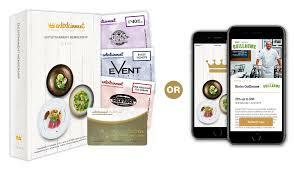 Students are requested to make a payment of $5.50 each through Qkr! or cash envelope in the Front Office by Tuesday 21 August. Payment is required by all students attending this incursion. Thank you. Unfortunately, Mr Blackwood received confirmation that Mrs Penn and Mrs Ashmore are not finalists for the Education Awards this year. It must have been an extremely competitive field because both of these staff members are worthy of being finalists as was evident as we completed their nominations. I want to thank the families and other staff who provided testimonials and other supporting evidence to strengthen the nominations. I also would like to thank the other council members who were instrumental in the nominations being crafted. Thanks to Steph and Rebecca. Whilst we were unsuccessful in our attempts this year, the council remains committed to using the Education Awards to showcase the fantastic work of the staff at Anzac Terrace Primary School. 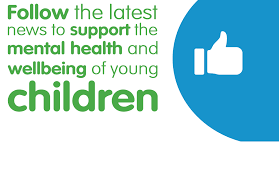 We are a fantastic school with the best Teachers, Education Assistants and Support Staff and of course the best kids. Please continue to send in your ONYA awards to recognise these wonderful people who have such an important role in the life of our school. Nominations can now be submitted online through the school’s website in the school council section. 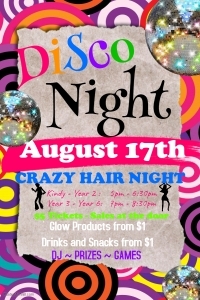 The P&C are holding a CRAZY HAIR Disco on Friday 17 August. All Students must be picked up by a guardian from INSIDE the School Hall.